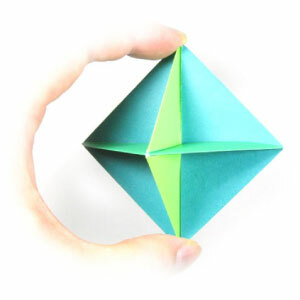 This page is for those who want the instruction to fold a traditional origami top. This traditional origami top can be made by putting six modules together. You can make four modules from each square paper. In minimum, you need two pieces of square paper. 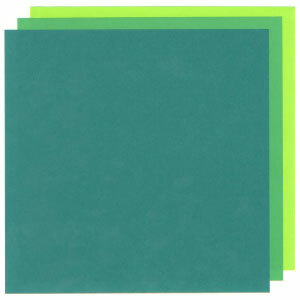 Here, we want to make two modules from each paper of different color. So, we will need three pieces of square paper. If you like, you can make one module from each paper of different color. 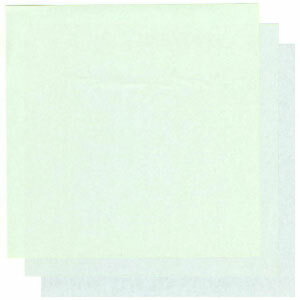 In that case, you will need six pieces of square paper of different color. Before working on this model, you need to know what valley-fold and mountain-fold are. If you know these two folding techniques, then you will have no problem in making origami top.